Waiyin has extensive leadership experience across the public and not-for-profit sectors in health care in Scotland, England and Wales. Passionate about unleashing talents, she set up her own consultancy, Wai Beyond, to inspire and nurture greatness in people, teams and organisations. Prior to this, she spent 16 years as Chief Executive of NHS Ayrshire and Arran, describing her role as ‘creating an environment to succeed’. 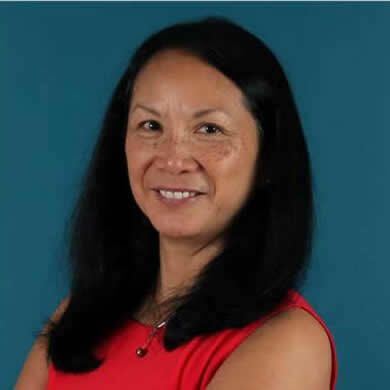 Waiyin puts back into the community – serving as President, Ayrshire Chamber of Commerce, and currently as Board member, Ayrshire College and Chair of University of the West of Scotland. A former karate international medalist, she co-founded and is Chair of Ayrshire Sportsability Charitable Trust, to promote health and well-being through sports for people with a disability. She was awarded Woman of Inspiration in the Association of Scottish Business Women New Year Honours 2014, in recognition of services to others in the business world in Scotland.